You are at Osprey Landing – Portsmouth's unique townhouse apartment community designed for people of all ages and varying income levels. You are minutes from the city's charming specialty shops and restaurants as well as the convenience of a multitude of major grocery and retail stores. 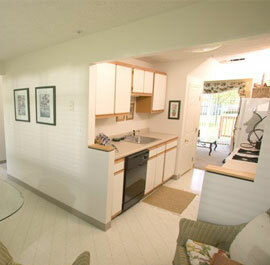 Yet, you are in the midst of Osprey Landing's tranquil country atmosphere. 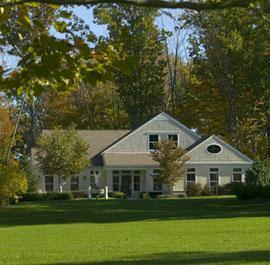 Seventy-six acres of mature shade trees, stands of white pine and grassy knolls provide an attractive setting for this New England style 1, 2, and 3-bedroom townhouse community. Tuesday & Wednesday 10:00 a.m. - 4:00 p.m.
I-95 to Exit 7. West onto Market Street. Approximately 6/10ths of a mile, take a right onto Portsmouth Boulevard. Go to stop sign. Take a right onto Osprey Drive and then a right onto Sanderling Way. The Information Center is on the left. THIS IS NOT TO BE USED FOR EMERGENCY REQUESTS. IF THIS IS AN EMERGENCY PLEASE CALL OUR ANSWERING SERVICE AT (603) 436-5713. 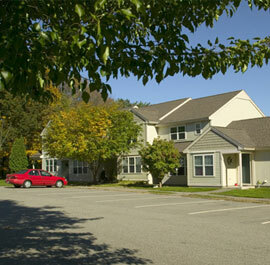 Osprey Landing is managed by JCM Management Company, Inc. of Manchester, New Hampshire. JCM specializes in the management of a variety of residential and commercial properties in New Hampshire and Massachusetts. JCM has a well-earned reputation for attractive, efficiently maintained properties that prove to be assets to their neighborhoods and communities. Additionally, Osprey Landing residents are served by an on-site Management/Rental Office as well as by a 24-hour emergency service system. Please be sure to ask about the affordable housing opportunities under the LIHTC and HOME rental programs. 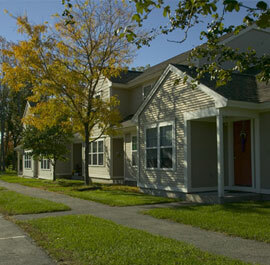 In addition, Osprey Landing offers 1 and 2 bedroom accessible apartments in the Market and Rental Programs. A Resident Selection criteria is applied equally to every applicant at Osprey Landing Apartments. A Criminal Background Check is obtained on every applicant and we review landlord and credit history. If you are unable to provide landlord references because you have no history, we will require two (2) professional character references. Design features include roomy floor plans with ample closet and storage space, first floor washer / dryer hookups, separate dining rooms, and spacious living rooms with sliding glass doors onto private decks. Well applianced kitchens include a self-cleaning oven, self-defrosting refrigerator and a dishwasher for easy living in a busy world. You'll see by the generous size and number of windows that plenty of sunshine and summer breezes are part of the design as well. 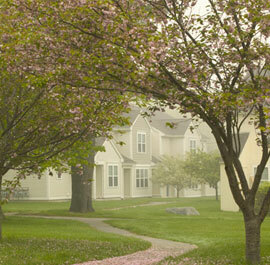 One-bedroom apartments offer the luxury and accessibility of a single level home. The two and three-bedroom townhouse apartments include a full bath upstairs and a half bath with laundry room downstairs for your added convenience. 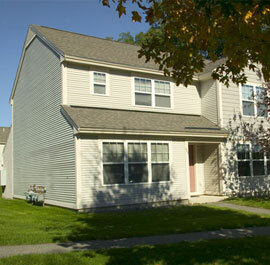 The property also offers one and two-bedroom accessible apartments. 3/10/19-6:10 p.m.-It will not be necessary to do a final cleanup of the parking lots so vehicles will not need to be moved.